The Adare Clinic operates two Molemax HD dermoscopy devices in their clinics providing the latest software and technology in the assistance of skin cancer detection in Ireland. Our doctors are also trained in dermoscopy allowing us to provide a complete full circle service from skin mapping to detection, monitoring and removal. Mole Mapping is carried out using an Industrial SONY HD camera, the software counts the moles and rates them in a traffic light system, red and green. If the doctor believe there are issues with moles, we can biopsy these moles and send to the lab for histology. This is a huge step forward in the treatment and diagnosis of moles and The Adare Clinic are delighted that they are leading the way in technology for dermatology issues. 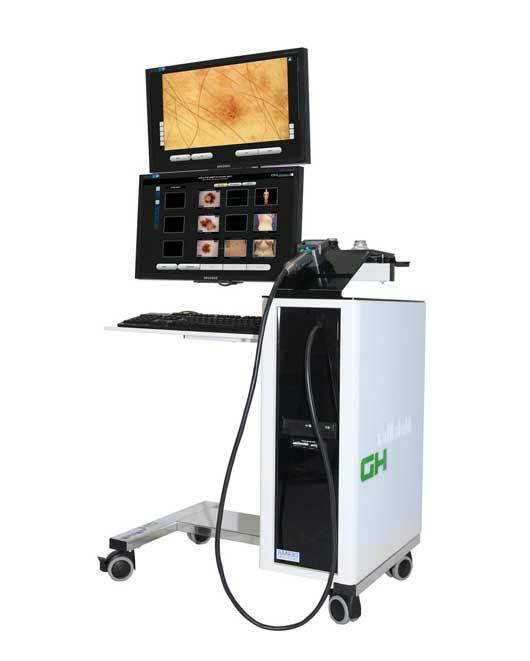 There are no other dermoscopy systems in Ireland with this level of mapping capability. Also, when visiting Adare Cosmetics Clinic for a mapping session, we provide a full solution from mapping, disgnosis, biopsy, histology and referral. Remember, skin cancer is one of the most prevalent cancers in the world and early detection is vital. Molemax is now available in our Fitzwilliam Square and Adare Clinics.